First Friday was formally launched in 1990 when the Spokane Arts Commission merged two existing events: Live after 5, a celebration of live music, and the Visual Arts Tour, which focused primarily on galleries. The impact of the collaboration was immediate, but in 2004, with the promotional backing of the Downtown Spokane Partnership (DSP ), First Friday truly became downtown's monthly celebration of all things art. This highly anticipated night continues to build momentum. First Friday caters to the after-work crowd, officially taking place from 5:30 p.m. – 8:00 p.m. on the first Friday of each month. Twice a year (February and October) the festivities last all weekend with First Friday included in the Visual Arts Tour. In most cases, the featured artist is on site, mingling with interested art seekers. Art walkers can expect to discover a variety of art in a range of mediums and enjoy live music, as well as partake of regional cuisine and wine. Today, First Friday is no longer limited to galleries, but also includes wineries, boutiques, eateries and other downtown businesses getting in on Spokane's night out. Most downtown wineries and tasting rooms participate, using the monthly celebration to debut new releases or feature special tastings. Barrister Winery is an established destination for art, with upwards of 700 visitors throughout the evening. The winery's tall, exposed brick walls can accommodate large works, and the artwork often shows exceptionally well in contrast with the rustic ambiance of this former warehouse. Add Barrister's award-winning wine, locally catered cuisine and cool live blues, and you quickly understand what makes Barrister such a popular stop. On First Fridays there is no cost to meander in and out of participating businesses and take in the art. Even the prestigious Museum of Art and Culture (MAC ), located just west of downtown in historic Browne's Addition (Spokane's oldest neighborhood), is open late. For a donation visitors can peruse its galleries on this ultimate night of all things art. 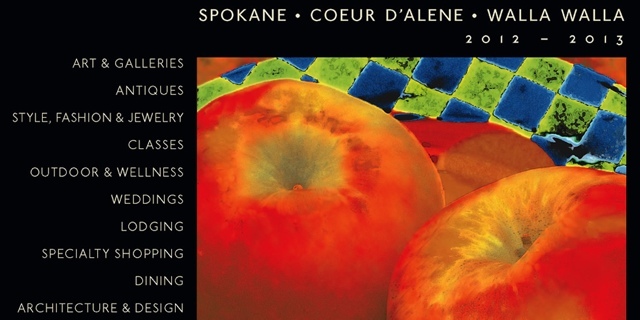 The Coeur d'Alene Arts & Culture Alliance invites you to take part in the city's cultural scene. The Art Walk is the second Friday of the month from April through December. Stroll through beautiful downtown and take in the art. From 5:00 - 8:00 pm enjoy the works of local and nationally acclaimed artists in an array of galleries and shops. Visit restaurants and other participating businesses. Many artists are on premise, with some creating art during this free, family-friendly event. Enjoy an evening of live music and fine dining in beautiful downtown Coeur d'Alene. During Music Walk evenings—the 4th Friday of January, February and March—music fills the city's downtown core. The music officially runs from 5:00 - 9:00 pm, but many music venues stay open later. Stroll in and out of businesses turned concert venues and sample the musical variety that North Idaho has to offer. Whether you like jazz or rock, classical or pop, they're playing your song. The Walla Walla Valley art community exhibits a wealth of artistic works by local, national and international artists during its First Friday Art Walks. More than 15 museums, galleries, artists' studios and other art venues extend their hours to 8 pm on the first Friday of the month from May through December. Participating Art Walk locations and local businesses in Historic Downtown Walla Walla provide brochures with a map for a self guided tour of local arts spaces and downtown public sculpture. As you stroll, be sure to stop by one of Walla Walla's wonderful dining choices, such as T. Maccarone's or Olives. The Whitman College campus is home to many dramatic outdoor sculptures. On display in Whitman's Sheehan Gallery, Maxey Museum, Reid Campus Center, and Penrose Library are many beautiful paintings and mixed-media works. Walla Walla College's Clyde & Mary Harris Gallery in College Place and Walla Walla Community College's Fine Arts Gallery are also showplaces of fine art throughout the year, but especially during Walla Walla's Friday Night Art Walks.